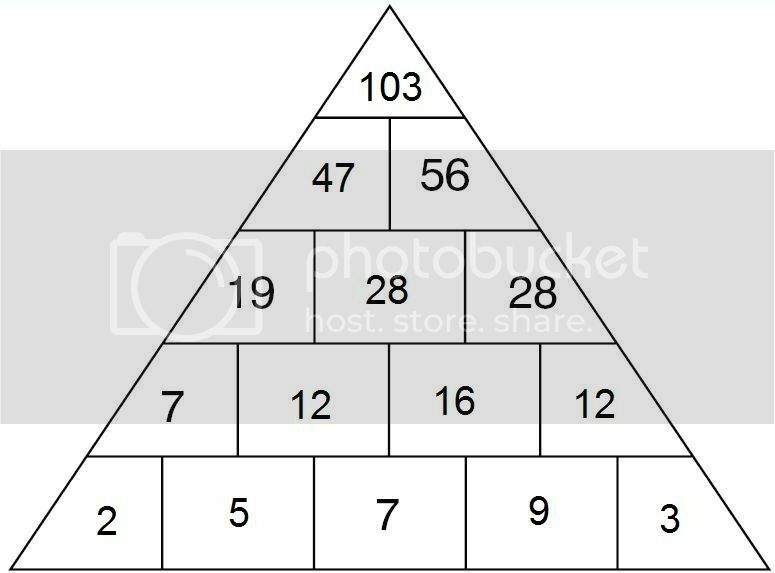 Each number in the pyramid is the sum of the two numbers immediately below it. 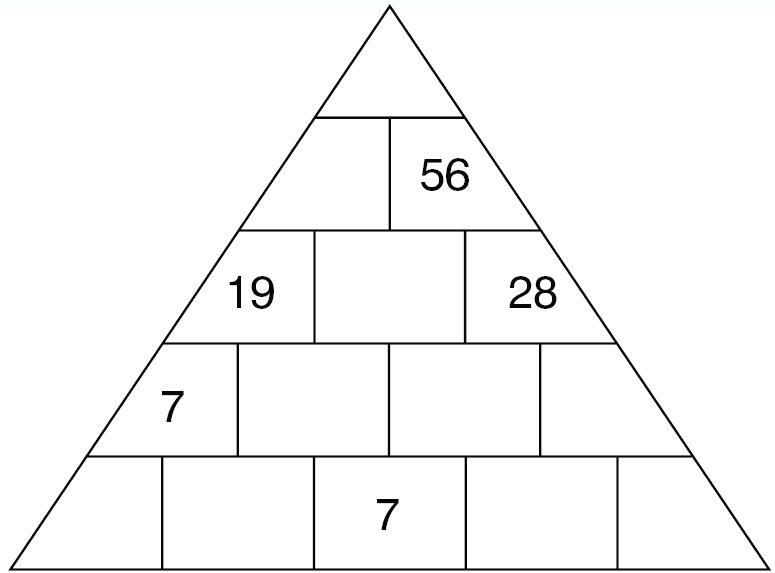 Fill in the pyramid with the missing numbers. Suppose the numbers are written in base x notation. First of all, x>9 since there's a 19 in the puzzle. you know steeleman23 already guessed that and that what I got too, but rohit said it was wrong. Why are people thinking in multiple bases? It was merely a logic problem. Beefing it up by thinking in base 11 is just making a mountain out of a molehill. Really now. i didnt say that steeleman23 is wrong. his answer is correct. when i solved it got the same answer. i thought there might be different answers for this puzzles, so i asked u try for other possibilities.